The final episode of this season Special Compass podcast. This episode hear the story of how it all began, what propelled the founder of Special Compass to make change for other individuals with a learning disability and the important life lessons learned a long the way. This week, the conversation on transition continues as we discuss the second part of change receiving. Once on the other side of change, how can we ensure students settle and adapt to their new environment successfully and effectively. Learn why it is important to prepare students for changes in school and in life. What is metacognition? and what is its importance in learning and success? Today on the Special Compass podcast we dicuss how the brain takes information and to become an effective and efficient learner. Today's episode we are discussing laws, and policies that protect and support individuals with a disability. If you are a parent and wondering what are your child's rights, a post-secondary student or just curious to learn more, this conversation is for you. Advocating for a child with a learning disability can be a frustrating and overwhelming process for parents. 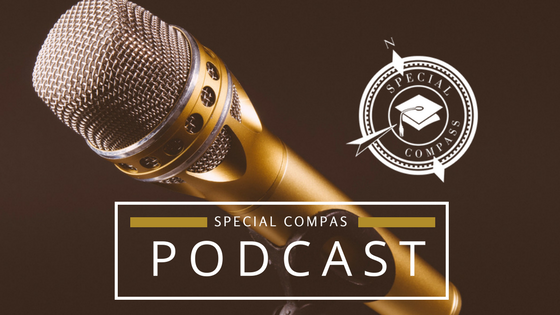 On today's episode of the Special Compass Podcast we learn how to advocate for intent and important aspects to consider when navigating a student to success. The words we speak can have a bigger implication on others more than we realize. Mental health does not only impact adults but effects youth as well. In this episode, we discuss how youth can develop mental health issues and how we can change the statistics on such a growing epedemic. Mental Health is a growing concern in our society. According stats Canada 1 in 5 Canadians will experience mental health issues. By the time an adult reaches 40 it is expected to 1 and 2 Canadians will experience mental health issues. Let’s work together to help change these statistics, by fostering the mindset of today’s youth. · Youth experience mental health issues as well. · Children build their self-esteem and self- concept by comparing themselves to others. o An unhealthy perception of themselves can carry-out through development into adulthood. · Need to help youth realize there is nothing wrong with being different. Our differences are what makes everyone unique. Variety is the spice of life. o A child’s mind is like wet cement. Easy to make an impression but hard to remove the imprint. · Youth with disabilities experience mental health issues as well. · Youth with learning disabilities are more likely to experience low self-esteem. Especially in regards to their learning challenges. There are various means to helping, and supporting individuals with mental health issues, but the first step that can lead in a positive direction is to adapt a healthy mindset. Understanding the root of the thought and changing the narrative. o On a daily bases there are thousands of thoughts running through the human mind. Many of these thoughts are reruns. o Being reflective of our thoughts. Understand the root of the thought and change the narrative that we tell ourselves. o Help youth be reflective. o Everyone has a different experience and a different story. o Be mindful of the comments we make to ourselves and youth. · Do not forget the support team. o It takes a village to raise a kid, it takes a team to navigate a student to success. o Throw kindness like confetti. It is common to see students with various exceptionalities integrated into one classroom, but there was a point when this was not a normal occurance. Inclusive Education is an approach to teaching that focusing on educate all students in one classroom and provide support and accomodations to those studrents. Inclusive Education? What is that? How to we work to create a classrooms and learning envrionrments where all students thrive? This week on the Special Compass podcast we are having a conversation about Inclusive Education. October is learning disability month! What better way to kick off this month of awareness by the premiere of the Special Compass Podcast. Not your average podcast, the focus is to have an inclusive discussion, bringing more awareness and information to help all students excel in school and in life. If we want to ensure no student is left behind it's time to have an inclusive conversation.